So full disclosure here: I’ve seen the Hunger Games movies, but I haven’t actually read the books (gasp!). Why would a book-lover like me not read the books if I enjoyed the movies? Well, dystopian sci-fi isn’t really my thing, so I figured watching the movies was good enough for the Hunger Games franchise. Besides, Suzanne Collins has enough readers, she’s not missing me. That’s all to say that I’m the exact opposite of an expert in this genre, and I have my own biases when reading it. 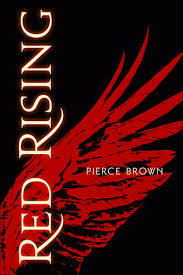 Red Rising by Pierce Brown is meant for a YA (young adult) audience, as far as I can tell. That being said, it’s quite violent, and would appeal to an adult audience just the same. It’s well written, and the plot moves quickly enough. Those are about all the nice things I can say about it. I didn’t hate the book, but quite honestly, I felt like I had read/seen it before; it was essentially a cross between the Hunger Games and the Harry Potter franchises, with a couple of clever ideas mixed in. The dystopian world that the main character Darrow finds himself in is essentially a caste system. 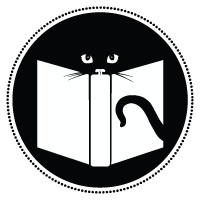 This handly little graphic on the book’s website demonstrates it quite well. So, obviously Darrow finds himself at the very bottom (as many YA protagonists do) and he has to don a new persona and body to move his way up the ranks and destroy the system from within. Sounding a bit familiar to anyone? Maybe the fact that he has to participate in a war-like game that pits teenagers against each other who end up fighting to the death may also sound familiar. And they have Proctors (aka sponsors / teachers) to help them strategize and offer them gifts of support every once in a while; again is this sounding familiar to anyone? I could be missing the point entirely on this one-perhaps all dystopian fiction for young adults is similar, and I’m picking apart a plot that doesn’t deserve this kind of scrutiny. However, I’m going to give authors of that genre the benefit of the doubt and assume they’re much more creative than that. I don’t blame Random House for putting this out-why wouldn’t they? Scholastic has the Hunger Games, and HarperCollins has Divergent, so why shouldn’t they get in on all the fun? And it’s obvious that Random House had high hopes for this book-the commercial that was produced for it is at the end of this post. Yes, that’s right, a commercial!!!! Talk about dolla dolla bills: a select few marketing budgets for books can barely cover a paid newspaper advertisement, let alone a television commercial. But back to the book. If you liked Hunger Games and you don’t mind reading books that are eerily similar, you will probably like Red Rising. But if you’re like me and enjoy reading a wide variety of books, you’ll most likely get frustrated with this novel, the first of three I might add (again, sound familiar?). Take my advice-there are way too many amazing books in this world to waste your time on something that you’ve read before. Your review of Red Rising reminded me of an article in Wired Magazine that went out during the last Winter Olympics: “Forget Dystopian Fiction. Sochi Is Pure Dystopian Reality.” The Wired writer was trying to be political and provocative, I’m sure, but in doing so he also hinted that maybe Dystopian YA Fiction has run its course. And maybe your impression of Red Rising is another sign that the genre has overextended itself lately. Thank you! I’m glad someone has validated my comments, I was worried I may greatly offend with this observation, and I’m surprised it isn’t made more often! While Red Rising may exhibit some cliches, he prose is engaging and the plot is interesting. That is about all. What I find amazing is the sequel. There is a near full direction change as the book deals more with the politics of war and the moral discrepancies on the protagonist’s side. Though I enjoyed Red Rising, Golden Son far exceeded my expectations, and I encourage all to read it. This is good to know-I’ll keep my eye out for the sequel!